To fully realize the meaning of ‘blessed’ — as it is stated in the Bible — requires much more than a dictionary. Have you ever wondered what the word “blessed” means? 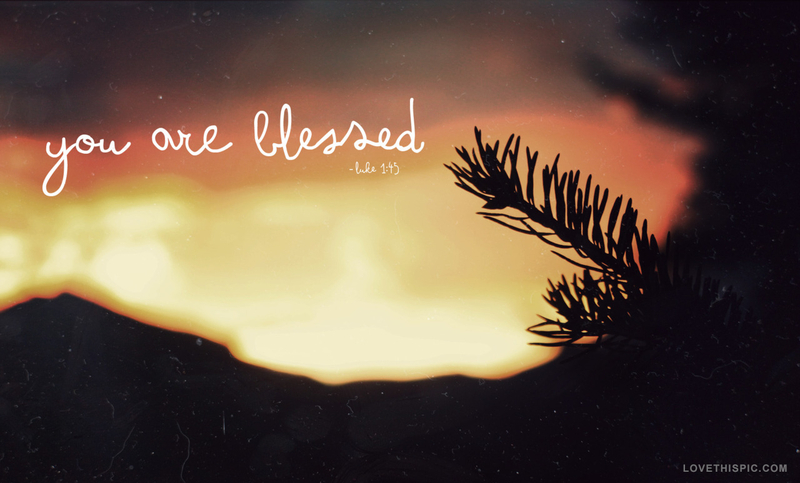 The phrase “blessed is” and “blessed are” is repeated throughout the Bible. Both the Old and New Testament tell us how blessed we can be. Thirty-seven times the King James Bible says, “Blessed is…” Thirty times it says,“Blessed are”. But what does it really mean to be blessed? Some Bible translations use the word “happy” in place of blessed. While this is not necessarily inaccurate, neither is it definitive. While it is true that people who are blessed will most likely realize happiness at their being blessed, the word “happy” doesn’t really convey the true meaning of what it is to be blessed. Besides, we all know that happiness is a fleeting emotion. To be blessed is much more than a feeling of happiness. One might compare being blessed to being “knighted.” You know… “I dub thee Sir Lancelot.” But that still doesn’t truly compare to what the Bible means when it says, “Blessed is” or “Blessed are”. If you were to look up each reference in the Bible of “Blessed is” and “Blessed are” you might begin to get an inkling of what the Bible means when it talks about blessedness. But to fully realize the meaning of blessed as it is stated in the Bible requires much more than a dictionary. For the very essence of what it is to be blessed, can only be personally realized. One might observe someone else’s life and consider it blessed, but to truly understand what it is to be blessed, it must be personally realized. So, how does one “personally realize” blessedness? Simple, by sincerely seeking God. For it is only God that can do the blessing that the Bible speaks of. Only when one comes to know and live for God, can the blessing be personally realized. Does that sound rather cryptic? Then let me put it to you in way I’m sure you will understand… in a way that will reach right inside and touch your heart. When one is blessed, one is “favored of God”. Now I ask you… who – in their heart of hearts – would not want God’s favor upon their life? Who would not want God to look favorably upon them? It isn’t difficult to gain God’s favor… for God’s favor is God’s love. God loves you and all He desires in return is your love for Him.